“Diverse Part 2 is an album very much about now and the way black music can descant on the past and yet embrace endless innovation. In the spirit of the old sixties DJs that were the ghetto mavens of their era - "Cut the chatter, check out the platter." 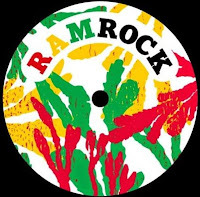 With 80,000 copies of his 2002 milestone, post club classic LP ‘Diverse’ already under his belt, Joseph Malik’s ‘Diverse Part 2’ is his first album outing in 12 years and his debut showcase on Ramrock Red Records. Thanks to his perseverance and the close support of friends of 30 years and his inspiration to sing, David Donnelly, Steven Christie along with Saleem Andrew McGroarty and Chris Greives, collaborate with Joseph to deliver an uncompromising, take no prisoners collection of songs that are, quite simply, spine tingling. ‘Take A Left’, the first track taken from the album, is already smashing it on BBC Radio 6 Music and beyond. 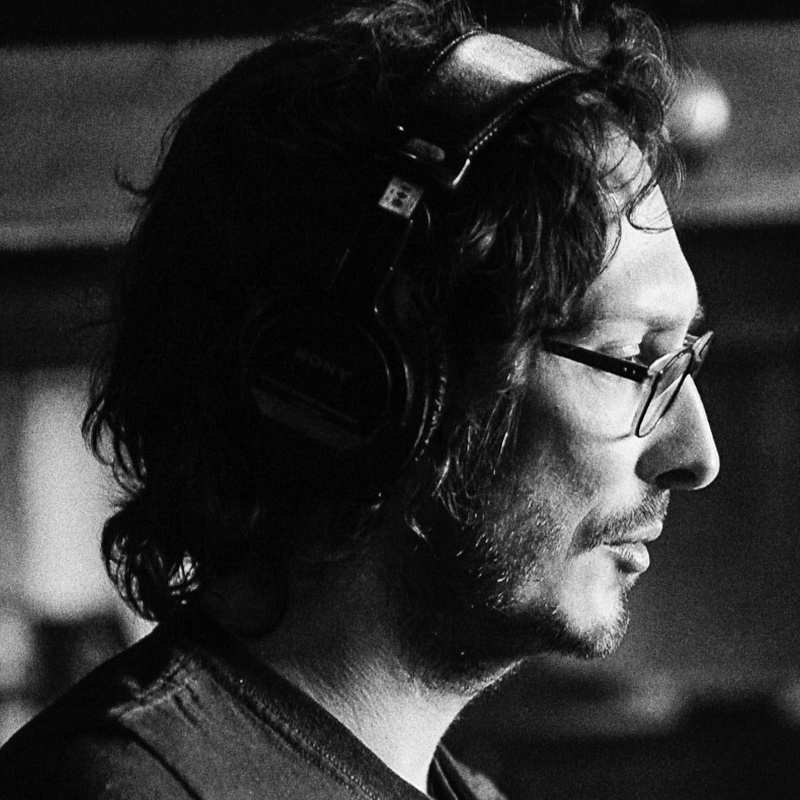 Over the last two years, Joseph’s work ethic has been relentless and his intensely passionate commitment towards ‘Diverse Part 2’ has driven it to the finishing line, allowing us to savour the exquisite result. Set for digital release on the 7th September, with the vinyl release following a month later, there is already an unbelievable buzz surrounding the album which Joseph has tantalisingly alluded to on various social media platforms during the production time. With a great ear for finding musically compatible artists to work with, Joseph has surrounded himself with a team of Scotland’s finest soul brothers and sisters to provide the raw energy to help him complete his mission to record the best in Soul, Jazz and Blues music. Together, they have created beautifully crafted melodies that fuel each track as their instruments interweave with Joseph’s distinctive vocals and the end result is respectful in its nod towards the musicians that went before as well as putting a fresh spin on the recordings. The hauntingly evocative ballad ‘Love Bound’ sits side by side with pared back track ‘But I’m Lost, Not Found’ full of longing and melancholy; sophisticated jazz jams are sprinkled throughout the line-up and the grittily authentic Rhythm & Blues number ‘Lost Not Found (Reprise)’ rubs a mohair suited shoulder with ‘Take A Left’, all of which allow Joseph’s captivating vocals space to soar and shine above the solid bedrock of his soul collective, the Easter Street Northern Soul Band. This was just the beginning of an extraordinarily, illustrious musical career that has spanned more than 30 years with Joseph Malik refusing to be stereotyped. His stunning vocal delivery on Trüby Trio’s seminal ‘High Jazz’, resulted in a great friendship with Rainer Trüby who was instrumental in landing Joseph’s recording contract with German label, Compost. Releasing ‘Diverse’ on the label, the record received critical acclaim from his peers including Gilles Peterson and Norman Jay. Success continued for Joseph; touring with Terry Callier, releasing a double album on the Stereo MCs Response label, writing his first hit record ‘Crack Pipe’, working on hip hop, techno and Drum and Bass productions with luminaries such as Drumagick, Grand Unified, Darren Emerson, Fred Everything and Kruder & Dorfmeister and releasing a remix album with Aqua Bassino and Grand Unified. 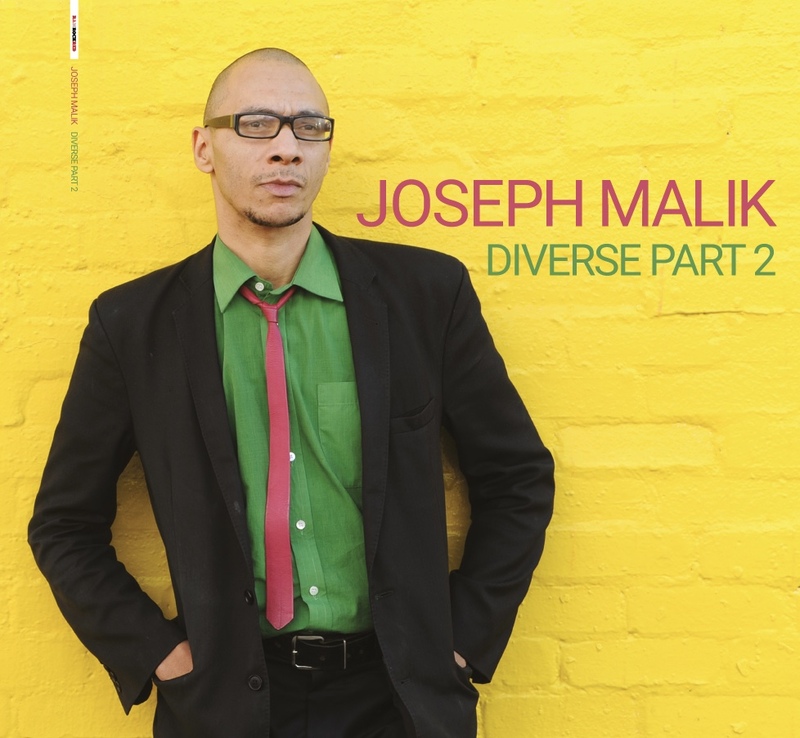 The wheel has turned full circle……please be upstanding for Joseph Malik and ‘Diverse Part 2’. 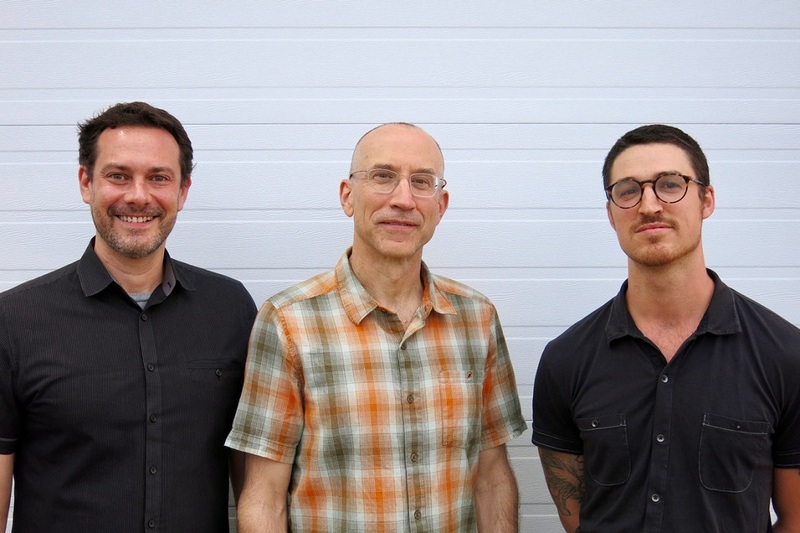 Eric Hofbauer (guitar) “has become a significant force in Boston’s improvised-music scene,” declares Stereophile’s David R. Adler. 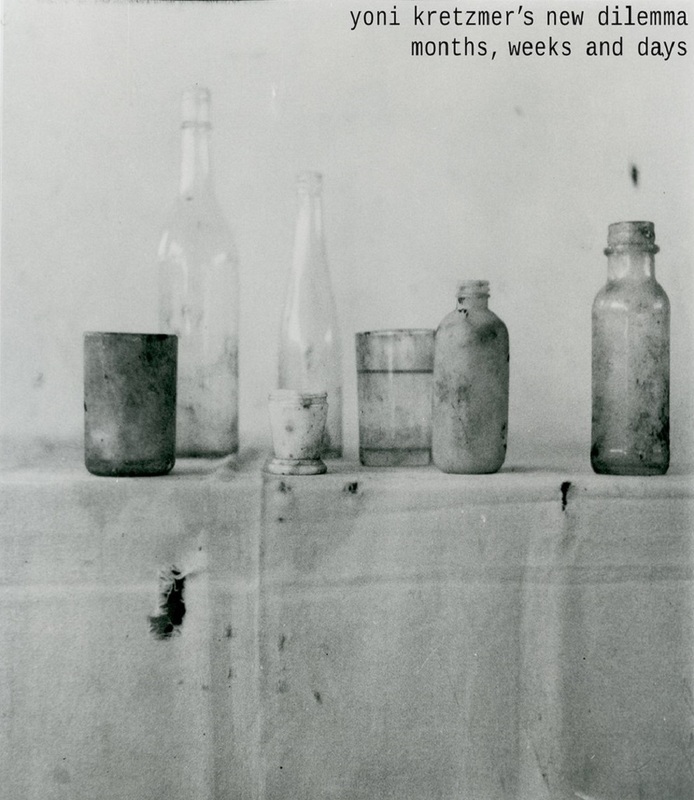 “His aesthetic evokes old blues, Americana, Tin Pan Alley, bebop, and further frontiers. There’s a rule-breaking spirit but also an impeccable rigor, a foundation of sheer chops and knowledge, that put Hofbauer in the top tier of guitarists.” Hofbauer has been integral to Boston’s jazz scene for twenty-five years, as a musician, bandleader, organizer and educator. Recently recognized in the 2017 DownBeat Critics’ Poll for Rising Star – Guitar, he is widely known for his solo guitar work, featured in a collection of solo guitar recordings (American Vanity, American Fear, American Grace and Ghost Frets), and as the leader of the Eric Hofbauer Quintet (EHQ). 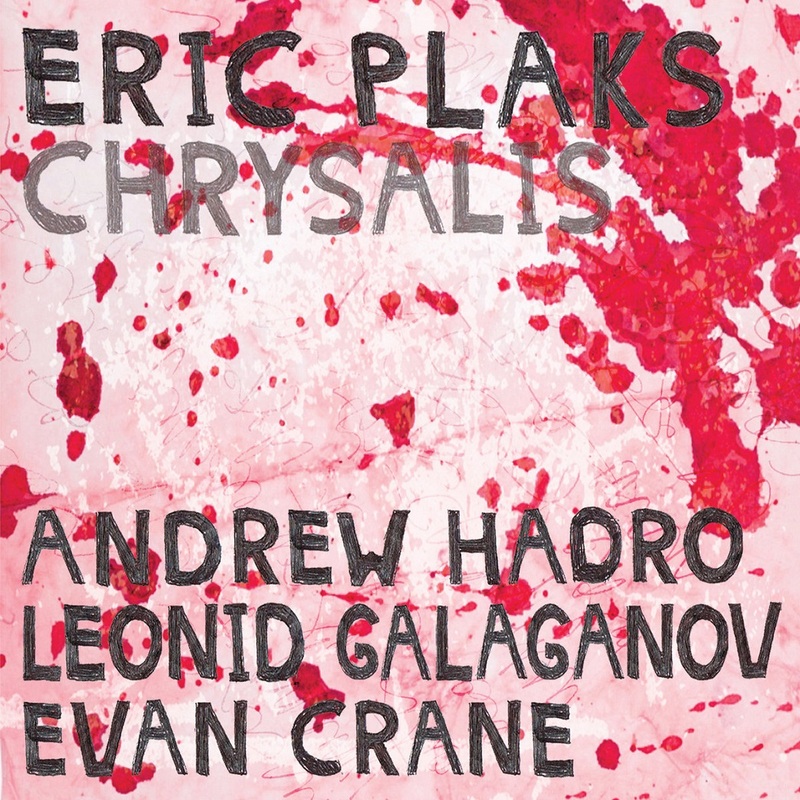 The EHQ’s series of four “Prehistoric Jazz” recordings, featuring Hofbauer’s jazz arrangements of Stravinsky, Messiaen, Ellington, and Ives, placed consecutively on the Boston Globe’s Top 10 Jazz Albums of the Year lists, and received critical acclaim from leading press such as Downbeat, The Wire, and Tone Audio. Hofbauer has also performed and recorded alongside such notable collaborators as Han Bennink, Roy Campbell, Jr., John Tchicai, Garrison Fewell, Cecil McBee, George Garzone, Sean Jones, John Fedchock, Steve Swell and Matt Wilson. Aaron Darrell (bass) was born in Selma, Alabama in 1987. A lifelong performer, Aaron has participated in countless choirs, and performed touring operas as a child. He received his bachelor’s Degree from Berklee College of Music with a concentration in Composition and Performance on the Double Bass. 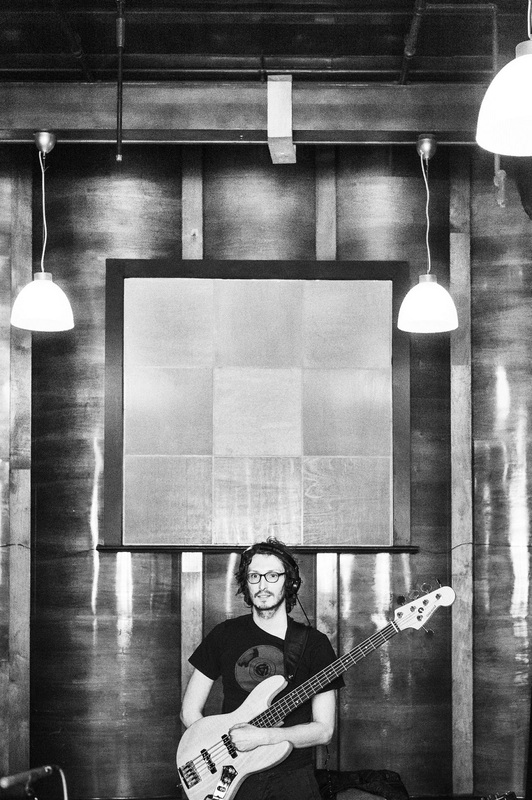 He has studied bass with Dave Santoro, Victor Wooten, Drew Gress, Katy McGinn, John Lockwood, and Chuck Israels. Other influential instructors were Yakov Gubanov, David Aiken, Ed Tomassi, Greg Osby, and Hal Crook. Aaron has performed his own original music and led workshops about improvisation, ensemble playing, and composition in over 25 U.S. states and several countries in Europe. He has currently integrated into the Boston music scene and can be found performing with his own projects widely varying in genre and appeal, as well as groups with Charlie Kohlhase, Curt Newton, Pandelis Karayorgis, Jorrit Dijkstra, Eric Hofbauer, Forbes Graham, Garrison Fewell, and more. Aaron also enjoys spending time drawing, reading, sharing food, learning about sustainability, health, and increasing inner resonance. Curt Newton (drums) coaxes whispers from drumsets and swing from stacks of rattly stuff, weaving varied musical traditions together in the spirit of serious playfulness. Over the past three decades, Curt has performed across the U.S., Canada and Europe and appears on over 30 CDs with some of contemporary music's leading figures including Ken Vandermark, Joe Morris, Nate McBride, Pandelis Karayorgis, Charlie Kohlhase, Dave Bryant, and Steve Norton, and most recently as the drummer in the Eric Hofbauer Quintet. About one live performance, the Chicago Reader’s Peter Margasak wrote “Newton dazzles...He exhibited breathtaking restraint, breaking down time with a subtle hand, tapping out painterly splashes of sound." Curt studied privately with Bob Gullotti, has a Master's degree in Jazz Performance from New England Conservatory, and once upon a time created a solo drumset arrangement of Lutoslawski's String Quartet (available on Bandcamp). Curt is also a climate change community builder and activist, and the proud parent of two musically-inclined young adults. 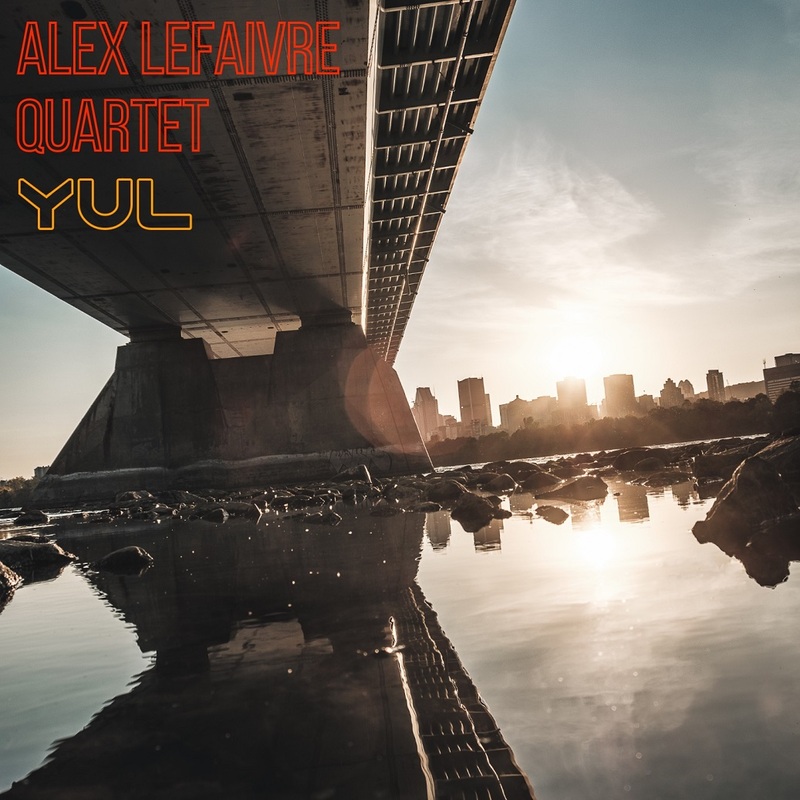 Drawing his inspiration from Montreal’s distinct urban energy, bass player Alex Lefaivre presents a series of modern jazz compositions written for some of his home town’s most original musicians, notably Erik Hove on alto saxophone, Nicolas Ferron on guitar as well as Mark Nelson on drums. The lyrical, song-like melodies develop over interesting forms that leave a lot of room for the group to interact and showcase their conversational improvisations. Taking its name from Montreal's airport code, YUL takes the listener on a cinematic trip through the city, where dreamy, hazy summer vibes are intertwined with a gritty, metropolitan edge. A highlight of this set is a surprising cover of John Carpenter's theme to his cult-classic 1978 horror movie, Halloween. Alex Lefaivre is a founding member of Montreal's Parc X Trio, one of Canada’s premier jazz groups. 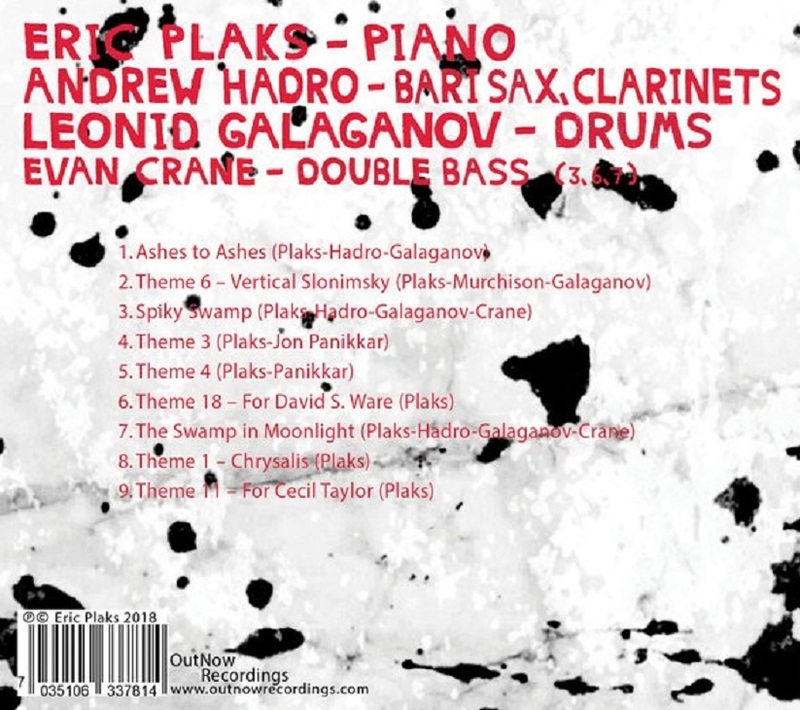 Parc X Trio have released 7 recordings, the latest of which, Dream, is released through Challenge Records International. They have toured across Canada, Mexico, the USA and Europe. Alex is also a founding member of Multiple Chord Music (MCM), an independent jazz label that currently holds 19 artists on its roster and has released over 30 recordings. Puisant son inspiration dans l’énergie urbaine distincte de Montréal, le bassiste Alex Lefaivre présente une série de compositions jazz mettant en vedette certains des musiciens les plus originaux de sa ville natale, notamment Erik Hove au saxophone alto, Nicolas Ferron à la guitare et Mark Nelson à la batterie. Les thèmes mélodiques et chantants se développent sur des formes atypiques qui laissent énormément de place pour l’interaction musicale du groupe durant leurs improvisations. Tirant son nom du code de l'aéroport de Montréal, YUL nous amène sur un voyage cinématographique à travers la ville où l'atmosphère rêveuse des chaudes nuits d'été se mélange à l'attitude explosive de la métropole. Parmi les huit pièces de l'album se trouve une reprise surprenante du theme de Halloween (1978), le film d'horreur culte de John Carpenter. Alex Lefaivre est membre fondateur du Parc X trio, un des groupes de jazz Québécois les plus reconnus de leur génération. À ce jour, Parc X Trio a lancé 7 albums, dont le dernier, Dream, est distribué par le label néerlandais Challenge Records International. Ils ont tourné au Canada, au Mexique, aux États- Unis et en Europe. Ils ont également remporté plusieurs prix et distinctions dont le Grand Prix de Jazz TD au Festival International de Jazz de Montréal en 2010 et l’album Jazz de l’année 2017 au GAMIQ. Alex Lefaivre est également membre fondateur de la maison de disques jazz Multiple Chord Music (MCM), qui compte plus de 30 sorties avec une vingtaine d’artistes dont Benjamin Deschamps, Rachel Therrien, François Jalbert & Jérôme Beaulieu, Frédéric Alarie et Rémi-Jean LeBlanc. 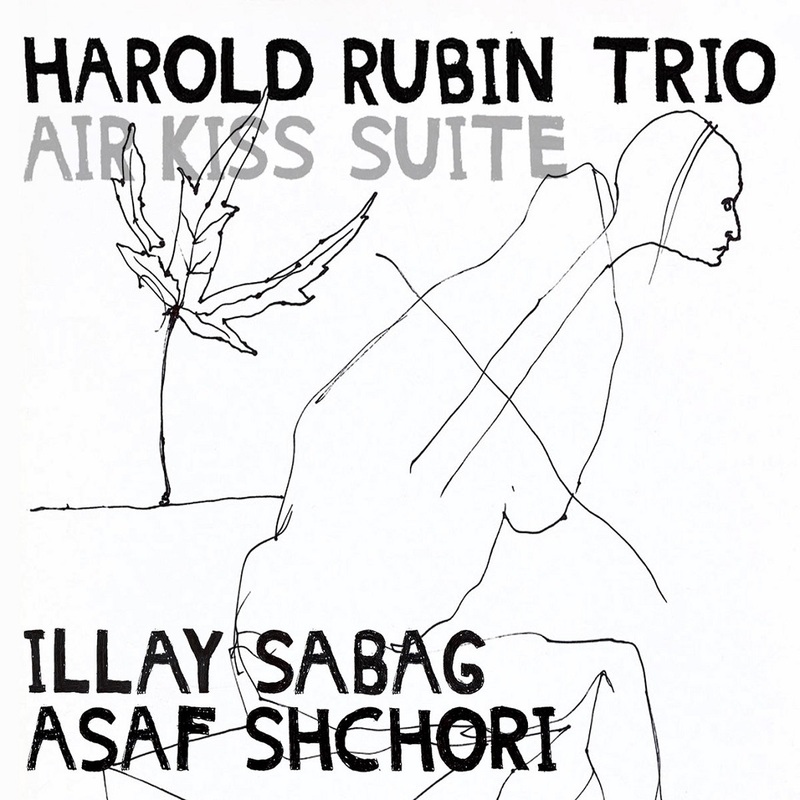 Air kiss suite is a live recording of a concert performed in Harold Rubin's living room, as part of the ongoing house concert series "Chofshi Basalon". This four part suite include improvisations based on Rubin's compositions. 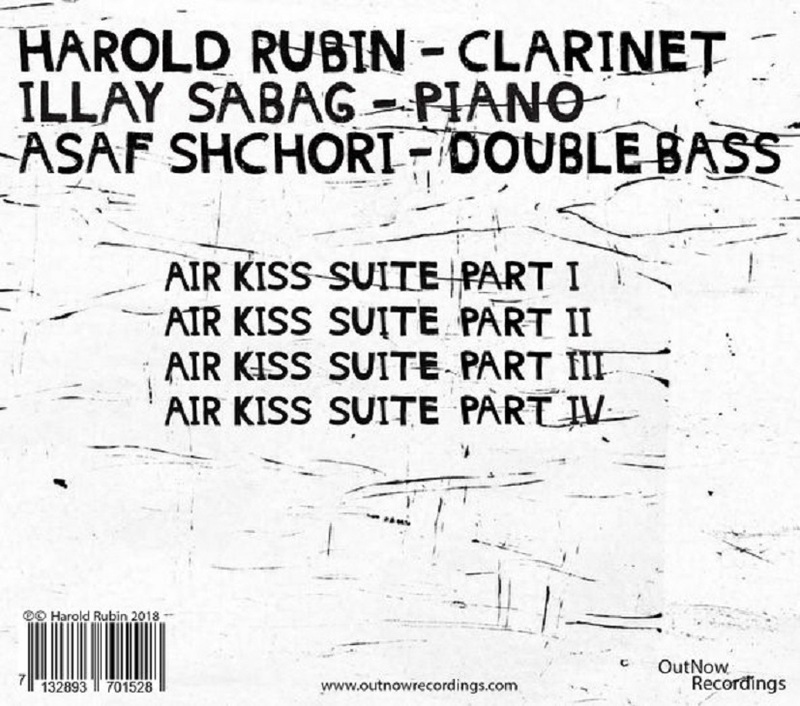 Harold Rubin's trio came to life a year prior to this recording, played regularly, but they always felt the sparks flew the most when they were in there home-base aka Harold's living room. It would not be an exaggeration to say that Harold Rubin is THE pioneer when it comes to the free improvised music scene in Tel Aviv (and of course in the rest of the state of Israel). Rubin a painter, architect, poet, clarinetist and activist immigrated from South Africa to Israel in the early sixties. Since those early Rubin has been a spiritual guide and mentor to the many free players coming out of that scene. Harold played for years in front of audiences spanning from a hundred to zero and slowly but shortly witnessed a scene grow around him. His persistence and dedication in front of the challenges of life, leaves all that know him in awe. 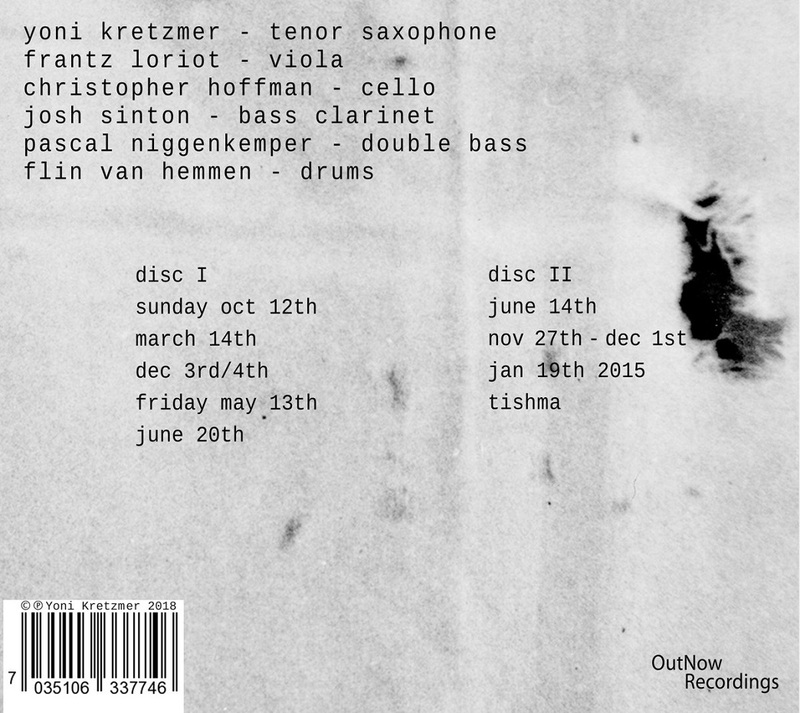 This recording is a rare gem which sees Rubin hook up two young talents who are more than sixty years his senior. Album contains 9 full tracks. Full album contains seven full tracks. 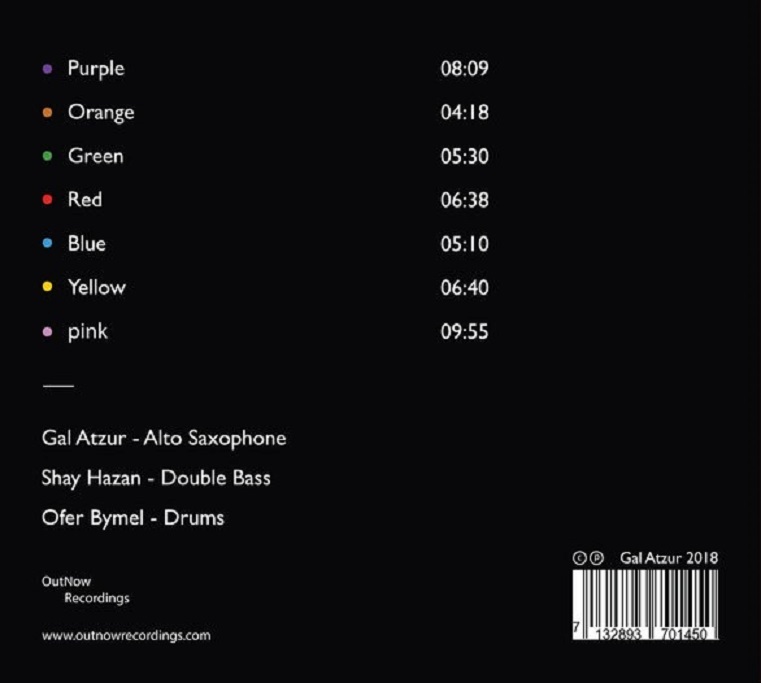 Gal’s debut album for OutNow Recordings displays Atzur's unique strength as an improviser, beautifully sculpting the sounds, textures and colors under his command. Even in the most violently burning moments, Gal never forgets his heart and soul and his love and admiration for heroes such as Albert Ayler, Charles Gayle and Joe McPhee. 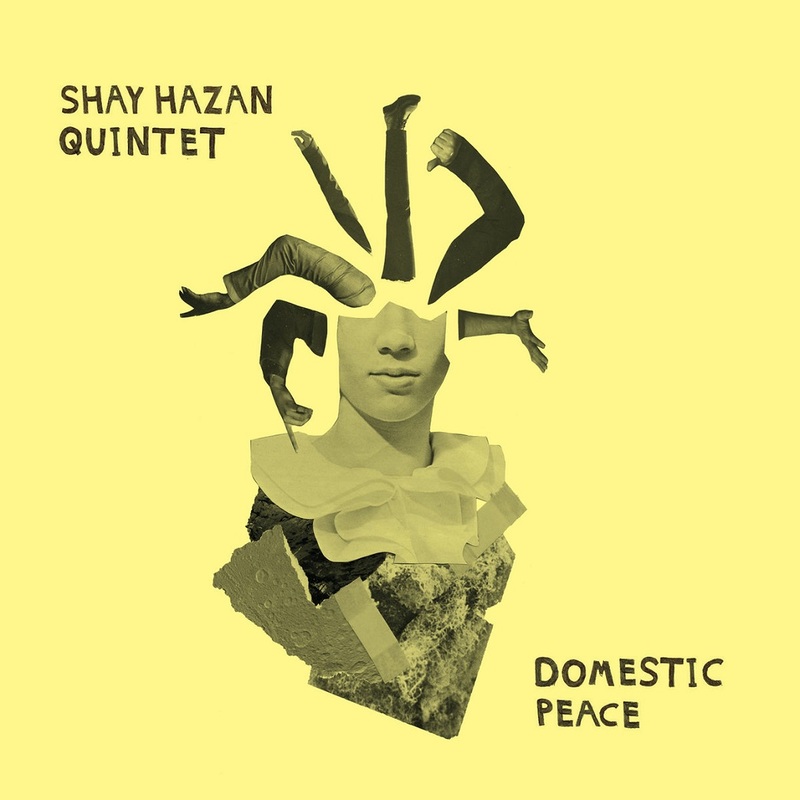 His trio, with double bassist Shay Hazan and drummer Ofer Bymel, is a true peach representing the fresh shape of jazz to come out of Tel-Aviv these days. Alto saxophonist, painter, composer and teacher Gal Atzur was born and raised in Jerusalem to a local old-timer Sephardic family. 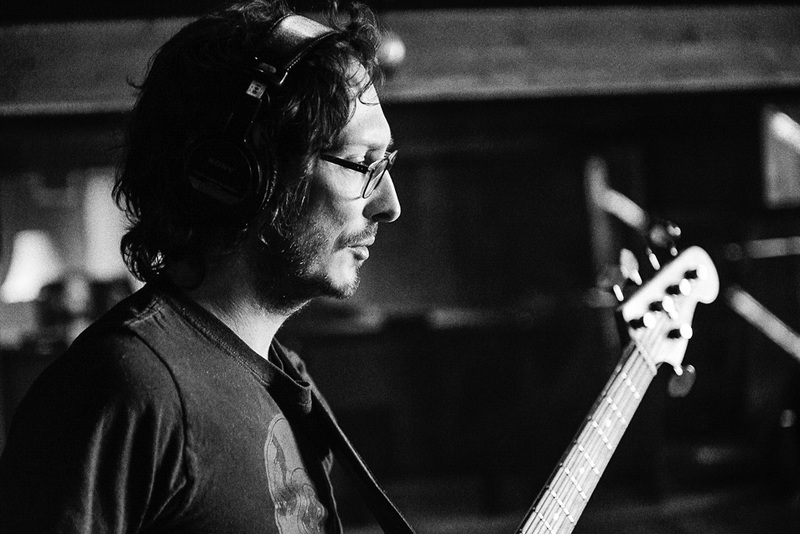 As a teenager, Gal played guitar in the noise and metal underground scene of the city. A few years later Gal switched to Alto Saxophone and studied Jazz and improvisation at the Jerusalem Academy of Music, with notable teachers such as saxophonist Albert Beger. 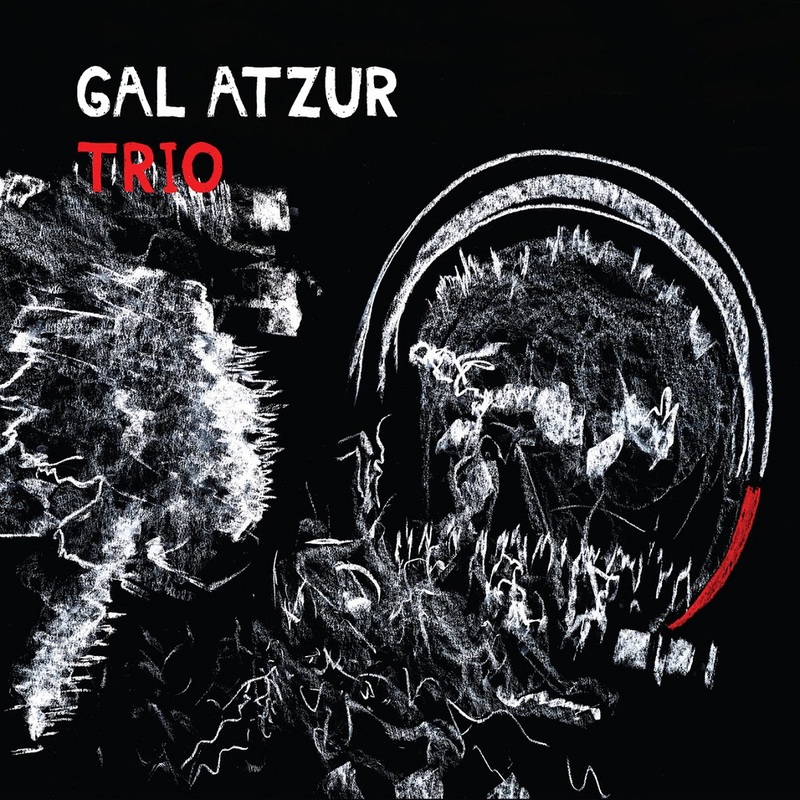 Moving to Tel-Aviv Gal became a vital force in the thriving Free Jazz and improvisation scene of the white city and was placed under the mentorship of notable saxophonist Assif Tsahar, who later recruited Atzur for his new Quintet. 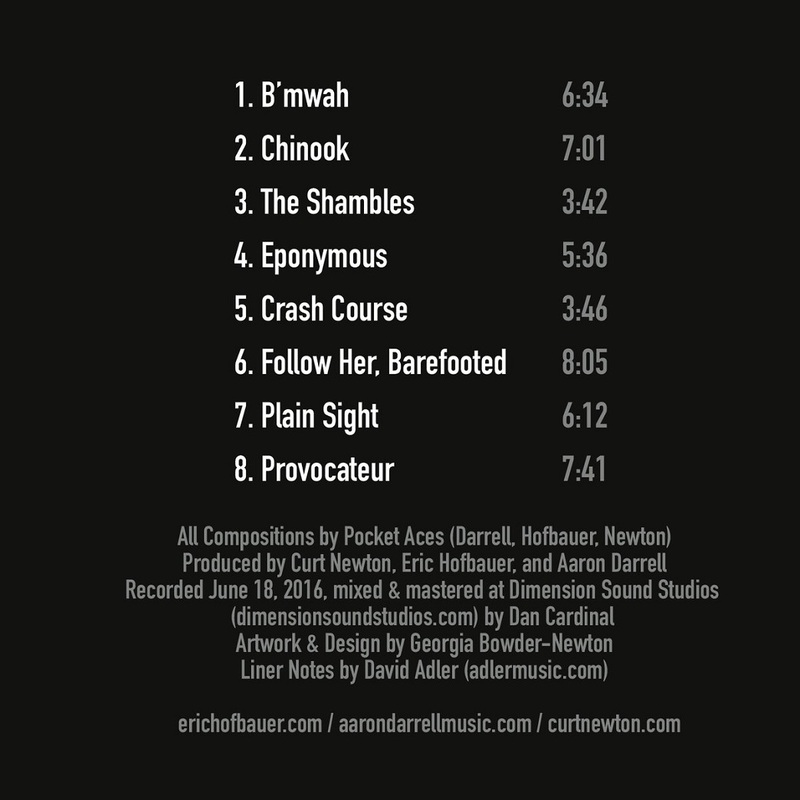 The full album contains five lengthy pieces. This is a double CD set. 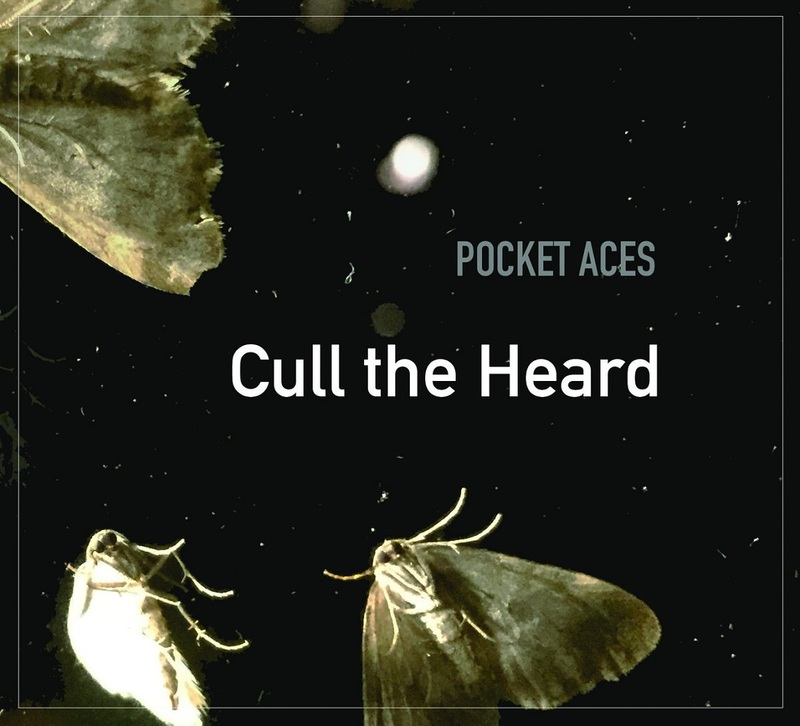 The full album has 9 lengthy tracks.